Cakes are fabulous presents for events from farewell to fresher and housewarmings to baby shower etc. Selecting the best cake for special occasions is always a matter of query like from where to buy, taste, Quality of cake, on time delivery etc. So, if you are in such dilemma order this delicious cake with Gift Jaipur. We even provide midnight home delivery in all corners of Rajasthan. 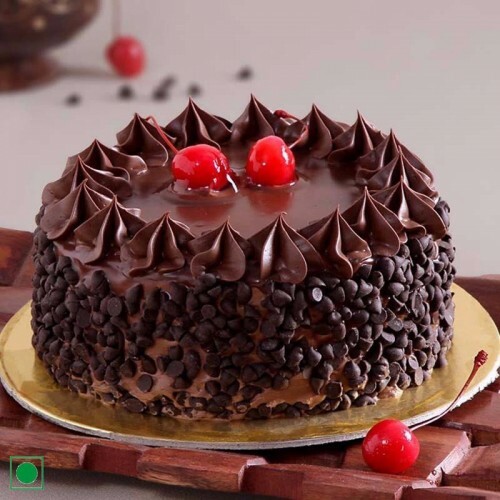 Content: ½ Kg Chocolate cake (You can set cake weight as per your choice). Express deep love for your family. Diabetic should take special care while having cake. Delivery may not apply for timings like: Valentine’s Day, Friendship day, Christmas, New Year etc.